(by Michael Mukasey, New York Post) – These days you take good news in the Middle East where you can find it. And here’s some good news from Egypt: It presents an opportunity that may not be fully squandered before the Obama administration leaves office. This news derives from a visit [I made last month] to Cairo to meet with President Abdel Fattah al-Sisi, several generals and two remarkable clerics: The Coptic Christian leader Pope Tawadros II and Ahmed el-Tayeb, the grand imam of Al Azhar University, the chief seat of authority in Sunni Islam. In June 2013, 30 million Egyptians – a third of the country – took to the streets to protest the Muslim Brotherhood rule of President Mohammed Morsi. What brought the people into the streets and Sisi to the fore was the Muslim Brotherhood’s gradual but relentless tightening of its hold on power and its Islamification of daily life, with the restriction of women, near-collapse of the economy and persecution of religious minorities, notably Copts – ills that have marked Islamist rule elsewhere, notably in Turkey. Some even feared the Muslim Brotherhood planned to suspend the constitution and install an Iran-style theocracy. Turkey presents clear lessons for Egypt. After World War I, career military officer Mustafa Kemal Ataturk established the Turkish republic – a progressive, secular state preserved by the military, sometimes via direct rule, for eight decades – until Recep Tayyip Erdogan won election in 2003. Erdogan has gradually purged the military and dismantled secular Kemalist reforms while strengthening the country’s Islamist character. So it’s hardly unheard of that a military figure is trying to bring a measure of modernity to a Muslim country. Moreover, both President Sisi and the generals who backed him hunger for a close relationship with the United States. They need US military help to counter the growing ISIS presence to the east in the Sinai (where Egypt cooperates closely with the Israelis) and to the west, in the virtually failed state of Libya. Yet Washington has withheld or delayed assistance – overdue Apache helicopters arrived without the systems or spare parts needed to fly them – largely thanks to Sen. Patrick Leahy (D-Vt.). “Leahy’s Law,” passed in 2008, bars US military aid to countries that curtail civil liberties. To the Obama team, Egypt’s restrictions on the Muslim Brotherhood (which Egypt deems a terrorist organization) and its sympathizers is enough to trigger that ban. Incomprehensibly to Sisi and the generals, the State Department has met in Washington with Egyptian members of the Muslim Brotherhood. Note the double standard: Washington provided all manner of military aid to Morsi’s Muslim Brotherhood government, even as Coptic churches were burned and their worshipers killed in Brotherhood-led riots, while a sharia-based constitution crimped the freedoms of all non-Muslims. When Sisi’s forces bombed ISIS units in Libya after the mass beheading of Egyptian Christians, Washington slammed him for violating Libyan sovereignty. His consternation at such slights from the administration is palpable. In our meeting with Sisi, one of our group noted that he has visited Russia but hasn’t even been invited to the United States by the White House, and asked him to speculate on why. A long silence; a sigh; then Sisi noted that members of Congress had invited him to Washington, and he still hoped to get there. The generals detailed their need for military hardware to fight terrorists; their frustration with America was apparent. Yet it was the clerics who provided real basis for hope. Pope Tawadros noted that Sisi, a devout Muslim, had visited his Coptic church on Christmas to offer greetings and support – unprecedented for any Muslim ruler anywhere. 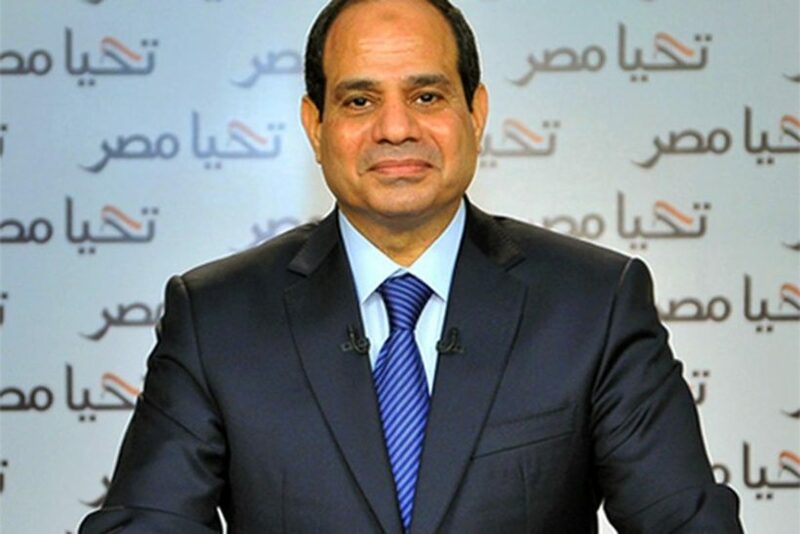 And on New Year’s Day, Sisi stood before the Muslim clerics at Al Azhar and called for religious reform – an answer to the radical Islam preached by the Muslim Brotherhood and others. He added, “We need to revolutionize our religion,” and, speaking straight to the grand imam, said: “You bear responsibility before Allah. Sisi was likely painting a target on his own back. Indeed, Brotherhood operatives in Turkey soon called for his assassination. But el Tayeb met Sisi’s challenge by delivering the same message to Sunni clerics in Mecca soon afterward. The grand imam’s history, like Sisi’s, is not unblemished; he has delivered more than one anti-Semitic sermon. But he, Pope Tawadros and Sisi are now emphatically on the same page – even as each seems to realize that US help isn’t coming soon. As Washington has rebuffed Cairo, the Russians have swooped in, eager to sign arms and even nuclear deals. But if a new US president restores the US-Egyptian relationship come January 2017, Egypt is poised to present a strong barrier to the rising tide of Islamism throughout the region. Michael Mukasey served as US attorney general, 2007-2009, and as a US district judge, 1988-2006. Published March 26, 2015 at The New York Post. Reprinted here April 16, 2015 for educational purposes only. 1. What is the main idea of Mr. Mukasey’s commentary? 2. Why do you think President Obama’s State Department has met with Egyptian members of the Muslim Brotherhood but President Obama has not invited President Sisi, who is a Muslim fighting Islamists? 3. The purpose of an editorial/commentary is to explain, persuade, warn, criticize, entertain, praise, exhort or answer. What do you think is the purpose of this commentary? Explain your answer. 4. How does this commentary encourage you?